Timber battens were used on north-facing windows to prevent excessive heat in the summer. 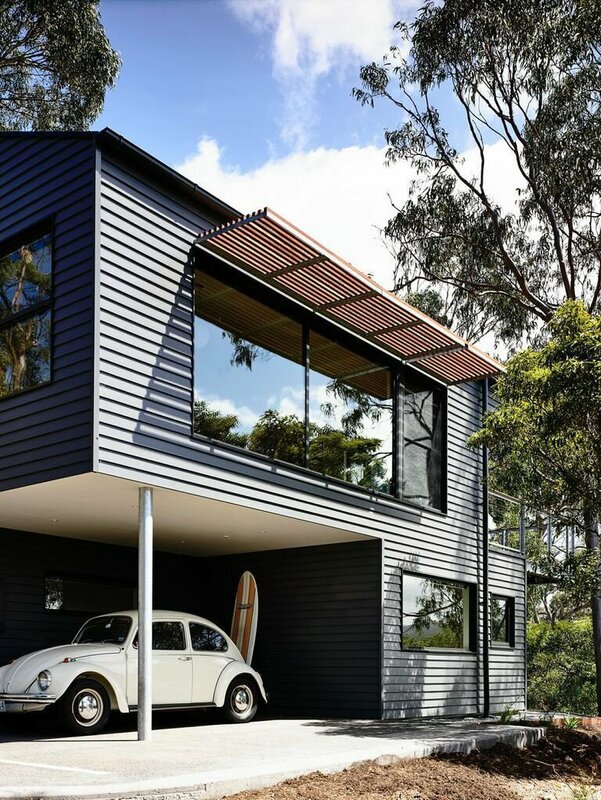 The exterior is clad in Scyon’s Linea weatherboard and covered in Dylux’s Western Myall paint. Beneath the upper floor, a little nook makes for the perfect covered carport and storage spot for surfboards.